The 2017 French Open Grand Slam tennis tournament for men and women players is taking place this month from May 28 to June 11, 2017, on the outdoor clay courts at the Stade Roland Garros located in Paris, France. Here is a list of the prize money up for grabs for the men and women doubles tennis players at the 2017 French Open. 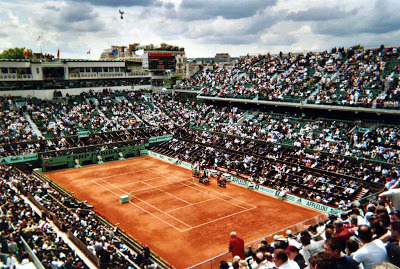 The French Open is one of the four Grand Slam tennis tournaments that take place annually and it features the best players and highest prize money purses in tennis. Over $40 million is up for grabs for the men and women tennis players at the 2017 French Open including doubles players. All prize money below is in American dollars and has been converted from Euros at the current exchange rate of 1.12. The prize money below is not cumulative, players only earn the amounts shown for the last round they advance to. The prize money is per team as noted below. The men's and women's doubles winners of the 2017 French Open in doubles play will each earn $607,149 per team or $303,575 per player in prize money.